The Directorate of Field Publicity, Ministry of Information & Broadcasting, Government of India, Regional Office (Nagaland & Manipur Region) today organised a one-day Regional Workshop for Field officers at the Conference hall of the Directorate of Agriculture, Imphal. Addressing the function as the Chief Guest, Addl. Principal CCF & OSD/ Forest & Environment, L. Baite, (IFS) called upon the all sections of the media to be agent of social change. He emphasised the need to highlight the plight and needs of the marginalised groups, especially farmers. While lauding the media in being instrumental in disseminating useful informatn to the public, L. Baite also exhorted the media to reach out to the grassroots and analyse their conditions and highlight it to the larger audience and the mainstream. 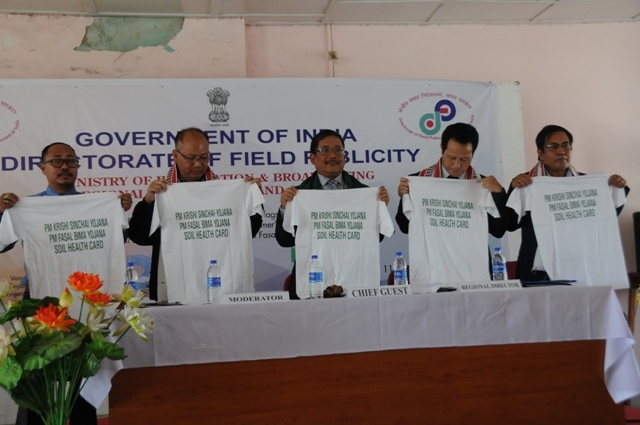 Dwelling on the need to streamline agriculture in Northeast, the chief guest underscored the need to initiate a kind of a green revolution in the Northeast. Pointing out that women constitute a large portion of the Agriculture workforce in northeast, he also felt the need to introduce women friendly agricultural tools and equipments. The Addl. Principal CCF also underscored the need to introduce High Yielding Variety seeds suitable to the soil and terrain of Northeast as most of the agricultural lands are not irrigated and mostly rain fed. 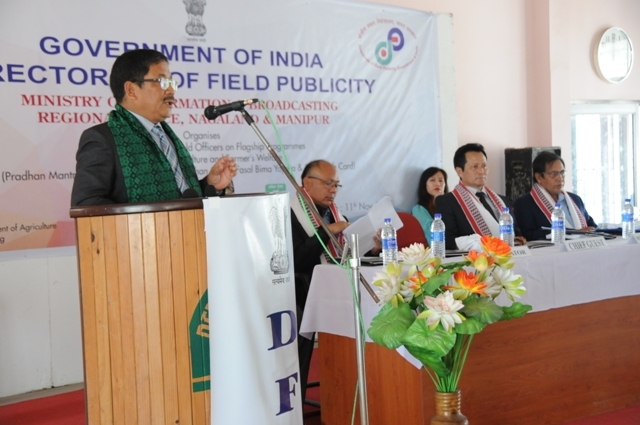 In his keynote address, Regional Director of DFP (N&M), Mangjangam Touthang informed that government of India is according high priority for welfare of the farmers and is implementing several farmers’ welfare schemes to revitalize agriculture sector and to improve their economic conditions. He said Prime Minister Narendra Modi has given the clarion call on the need to increase agricultural productivity with overall welfare of farmers, therefore Ministry has been renamed as Ministry of Agriculture and Farmers Welfare with a view to develop a holistic approach. He added that the main objective of the programme is to update knowledge and equip Field Officers of the region on the flagship schemes/ programmes of the Ministry of Agriculture with special focus on Pradhan Mantri Krishi Sinchayi Yojana, Pradhan Mantri Fasal Bima Yojana and Soil Health Card. The Chief Guest, Addl. 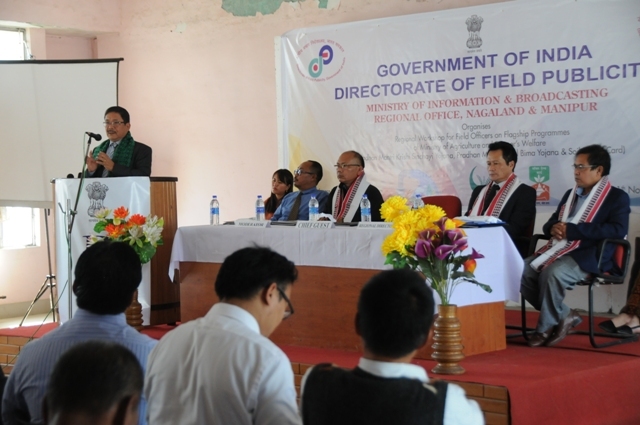 Principal CCF & OSD/ Forest & Environment, Manipur Shri L. Baite, (IFS) addressing the Regional workshop for Field Officers of the Directorate of Field Publicity, Nagaland & Manipur region on the flagship schemes/programmes of the Ministry of Agriculture with special focus on Pradhan Mantri Krishi Sinchayi Yojana, Pradhan Mantri Fasal Bima Yojana and Soil Health Card organised on November 11, 2017 at Conference Hall, Directorate of Agriculture, Manipur Imphal. Maintaining that the success of any government developmental programs and schemes largely depends on people’s participation, M. Touthang said DFP acts as a bridge between the people and the government in a true sense. 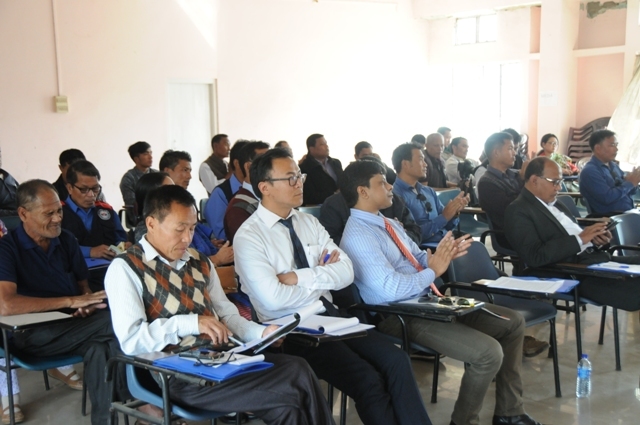 In the technical session, AK Chittaranjan Singh, Nodal Officer (IT), Agriculture Department and Khuraijam Hera Singh, Subject Matter Specialist, KVK Imphal West were the resource persons.